Happy Halloween and an Update! I know this post is up a day early, but that's because I wanted to tie that into this week's post and the upcoming month. As everyone (well, online) knows, November is National Novel Writing Month, or NaNoWriMo. If you're wondering if I'm doing it, the answer is yes. I have a story I want to get on ASAP, and this is the perfect opportunity to get into it. I actually did it last year and the project ended up pushing me to write two additional novels after it of which are still in the editing can. Sooner or later I hope to find an editor for them, though that has so far proven to be rather difficult. 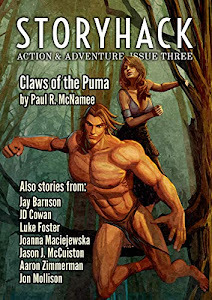 Inspired by old juveniles, anime, old school adventure stories, and everything in my childhood, it's not a style of book too many editors would be interested in looking over without dismissing outright. As for this year, I will be writing the fourth book in the series which will probably be much longer than the other three (which center at between 70,000 and 80,000 words) and the end of the arc I'm currently writing. I wanted to save it for this year since I started this last year and I wanted to close out the year since starting it with a big bang. This of course means I shouldn't have many posts up in November, but that probably isn't true. Look out for a surprise on the way that is a long time coming from me. And Happy Halloween! Watch some old Christopher Lee movies, gorge on some candy, and have a lot of fun! I'll see you in November! It stands to reason that I'm a fan of manga artist, Yasuhiro Nightow. 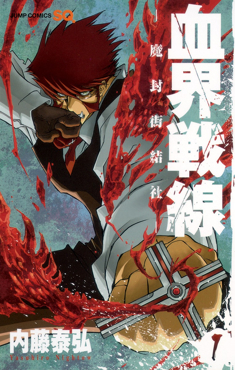 His Trigun manga is excellent, and his second series, Blood Blockade Battlefront, is a lot of fun as well. But where his material always shines the brightest is in the anime medium. The Trigun anime is my all time favorite TV show, featuring high class action as well as moral and spiritual world that is surprisingly deep and powerful. The writer, Yousuke Kuroda (Gungrave, Honey & Clover, Gundam Build Fighters), and the director, Satoshi Nishimura (Hajime no Ippo, Trigun: Badland Rumble, Ushio & Tora), and their staff took Nightow's original manga, pumped up the themes and drama, and delivered the best adaption of a manga into the anime medium there ever was. 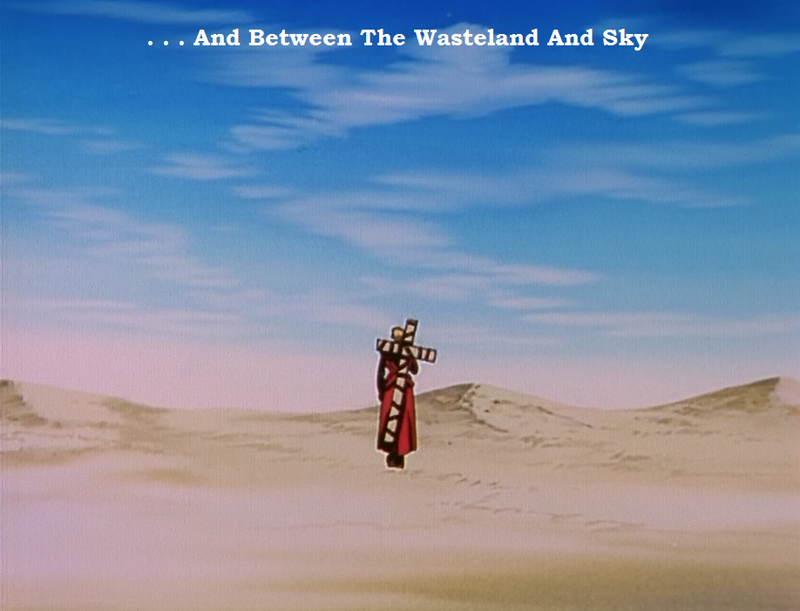 But other than the original Gungrave anime that Nightow created (and Kuroda co-wrote) which is the flipside of Trigun and quite an underrated series, and the Trigun movie (Trigun: Badlands Rumble) that Nishimura directed and co-wrote with Nightow, Nightow hasn't had much presence in the anime world despite his popularity both here and in Japan. This changed during the spring anime season when Rei Matsumoto (Kyousogiga, Pretty Cure franchise) took the reins for an adaption of Nightow's breezy manga series of fun adventures. It ran for 12 episodes instead of the 26 his past series have run, but what Matsumoto did was absolutely stuff every episode with themes deeply tied to Nightow's own and enhancing them in the process. The anime may only be 12 episodes, but it has an extra recap episode which is quite hilarious, and the final episode is twice the length of a normal episode, and in the process of the story, she created an original storyline not in the original manga but manages to tie in deeply with Nightow's original adventures as well as themes he's been exploring since he started Trigun. 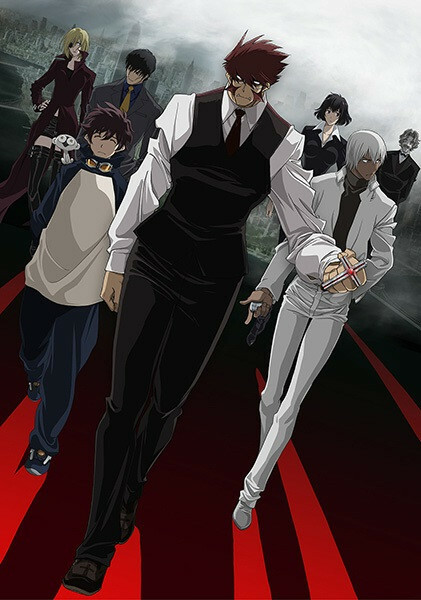 Blood Blockade Battlefront is about a boy named Leonardo Watch and his adventures in the mystical city of Hellsalem's Lot (Jerusalem's Lot in the original), formerly New York City. You see, one day a portal to the "Beyond" formed over New York, swallowing it whole and attracting a melting pot of aliens, spirits, and monsters of all shapes and sizes. Oh yeah, and demons. In the city is a secret organization called "Libra" lead by a man named Klaus V. Reinhurz who keep the innocent safe from the darkness that waits to consume them all. One day the barrier that keeps Hellsalem safe from the outside world will fall, but it is up to Libra to keep it safe until then. BBB is about Leonardo's adventures after joining Libra and how he uses it to atone for his past. On top of this story are the abilities that Libra members posses to fight the darkness in their city. Leonardo's eyes are actually All-Seeing Eyes which can see anything hidden to the normal man or monster including the real names of those that prefer to be nameless and the hidden secrets of those that those that wish to remain secret. It goes without saying that his power is very useful. But the other interesting ability is that of Klaus V. Reinhurz, the leader of Libra, and several other members. As the title of the series suggests, they can manipulate their blood in different ways to fight their enemies as a direct parallel to the inspiring words of Klaus who frequently goes on about battling for the light and never losing focus from it. The anime has an original plot that weaves Nightow's original episodic adventures together centering on the brother and sister pair of Black (William MacBeth) and White (Mary MacBeth) who have a strange past related to the mess that almost destroyed the world from Hellsalem several years ago. And yes, their real names are parallels to exactly who you think they are, Mary's name becoming very relevant by series end as well as the villain's relationship with her. What Matsumoto does here to contrast Nightow's constant usage of red (Vash the Stampede's coat in Trigun, Klaus in general for BBB) for heroes marked by blood and villains with despairing blue (Legato Bluesummers in Trigun, and the villain in BBB) is add in the concept of black and white morality and how they can intertwine with each other and influence the very world around them which they will continue to do until the end of time. It's a surprising weight added to an otherwise well-written adventure show about good against evil, and it's a highly welcome one. Blood Blockade Battlefront is one of the best new anime in many years and should be sought out by anyone with even a passing interest in the medium. You won't be disappointed. I'm not really much of a reviewer because I kind of want people to experience the subject in question instead of just taking my word for it, but I know Blood Blockade Battlefront can be overwhelming for those who have never really understood anime. The best way to view it would be the dub on Funimation's website or wait for the eventual DVD/Blu-Ray release, but if you can manage a lot of subtitle descriptions as well as the dialogue at the same time, you should be fine. Believe me, the series is worth it. Right now you can catch the subtitled anime for free on Funimation's website here or pay a subscription to watch the English dub at the same location. I don't know when a home release will be available, but you can bet that I'll be first in line when it does. As long as you continue to step toward the light, nothing can ever truly defeat you. You can watch the opening to the series here and the ending theme here. Sorry for the lateness, I've been having issues with Google all week. I haven't been able to access the blog or even my G-Mail account in a while. How anyone can put their trust in Google when they're so frustrating to deal with is beyond me. Anyway, I'm sorry. It's going to be a bit long to my next real post, unfortunately. 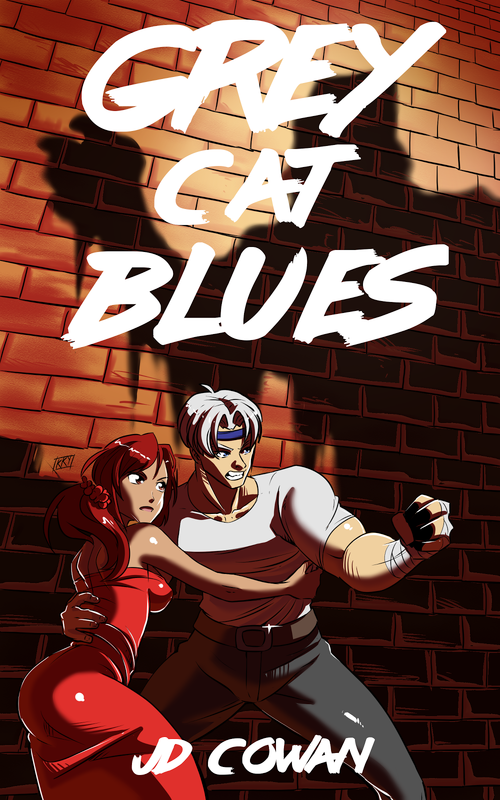 Currently I'm working on a series of short stories based on a superhero I created. It's a bit of an anthology of adventures that all tie together and lead to a (hopefully) explosive conclusion. I've never really written anything close to this before which is rather exciting to write. The hero is called The Seeker, and he has a knack for finding people he's looking for. It's a very simple idea, but it ended up being very difficult to write out. Still, I'm very much enjoying writing it out. The first story ended up explaining a lot without telling too much, and I'm very proud of it even this early into writing and editing. This is an idea that came to me when writing another story altogether. On the other hand, I'm still working on the last project of a series of novels inspired by about everything I love as a kid. I started that during NaNoWriMo last year and since then I have written three novels in the series. I still have heavy duty editing to go through, both personal and (again, hopefully) professional if I can ever get the money together and find someone to edit who will understand the genre of story I'm telling. Finding a good editor is hard. While You Were Dancing, for instance, may by really straightforward a read now, but finding an editor who understood it wasn't a nihilistic dirge of hopelessness wasn't all that easy. I kept getting suggestions that were completely wrong for the story because it is a quirky idea. I finally got some editing from an editor that understood, but it took some time. Unfortunately, I just don't know enough people to trust as beta readers or editors, which means it will take some time to get my stuff published. It's a shame, but it is what it is. Anyway, that's my current status update. I hope anyone who reads this blog finds it informative. I've been thinking about this a lot. By that I mean what it is that I like so much about stories. This wasn't spurred by anything all that new in my life, except some comments I had read on other blogs and my last trip to a book store. Both were a fair bit depressing. Whatever you like is what you like, so I can't argue about taste. But I can't personally stomach stories where nothing happens except the protagonist living a horribly mundane life where every group in the world is evil and everyone should look out for themselves by following the same empty set of beliefs that change nothing about what the core problem is. All modern "literature" is much the same as this except sometimes its a specific political party that will save everyone. Good luck with that. The bookstore I last walked around in had almost no one there at peak hours. The people I saw were either buying non-fiction, modern thrillers, or classic books. The shelf after shelf of modern nihilism were still as full as the last time I was there and will probably be there until the store eventually closes. That problem probably won't ever change. If you want to know why a lot of people don't read anymore, I would say that because that formula that has been fairly unchanged since Holden Caufield wasted everyone's time with half-baked philosophy and no plot has been emptied for all its worth. No one wants to read that stuff anymore, if they ever did in the first place. But what sells? What are the people who haven't been chased out of reading by bad Shakespeare scholarship and soul-draining book assignments in High School reading classes? Surely, they have to be buying something despite the imminent collapse of the publishing industry and bookstore chains. Right, I already said it. Non-fiction, modern thrillers, and classics. Non-fiction is easy. People want truth. Non-fiction is supposed to be nothing but truths. It isn't always, of course, but that's what it is supposed to be. But simply that they're being purchased it means, despite how much falsehood might be in the book, they are at least willing to search. You won't find a lot of that in modern literature. Modern thrillers and their absurd popularity is the most obvious of the three. Read a Bourne novel, or a Dean Koontz. What are they about? A good guy fighting bad guys. It isn't baffling why these sell. It is baffling as to why "literary" types look down on stories with actual worth to them. People buy what they want. The last one might be controversial, depending on your definition, but "Classics" is a lot more straightforward than college-lit types will have you believe. People do not buy Ulysses no matter how much they are told it is great. They buy The Three Musketeers, Treasure Island, The Odyssey, Jane Eyre, A Christmas Carol, The Stand, Dune, and Lord of the Rings. What do all eight of those have in common that Ulysses doesn't have? A story people want to read. A story of grand ideas, with people who strive to meet goals despite incredible odds and eventually achieve them even if not in ways they expected. They are classics despite the long time in which they first came out and first entertained people so long ago. People still want to read them. They have the same appeal of the first two categories of stories I mentioned before of truth, good and evil, and the aim for something greater. The popularity of superhero movies says much the same. While comic sales die every year as they are continually coated in stories of moral relativism, bland edginess, and the inability to shake the influence of a subversive work over thirty years old that his been milked dry, comic book movies continue to do really well. Stories of heroes facing incredible odds and conquering them sell more than pessimistic stories whining about how there are no heroes and anyone who thinks differently from the writer is an idiot. My post last week about Ushio & Tora menttioned much the same thing about the anime and manga industry. This isn't just a North American trend. It's a modern one that has long worn out its welcome. Now, if that's what you enjoy, then more power to you. The problem is that the majority of people do not enjoy it, yet that is what continues to be what is mainly offered to them. Shelf after shelf of nihilism and nobody buying any of it. I hope my stories, should I ever find an editor for them, would manage to entertain and uplift a little while telling a good story along the way. I bathed myself in nihilistic works for so long as a teenager and young adult that I can hardly stomach them at all any more. If anything, I hope more stories of life begin to come forward and wash the taste out of our hollow, and getting emptier by the day, culture. I'm a more than a bit tired of it.